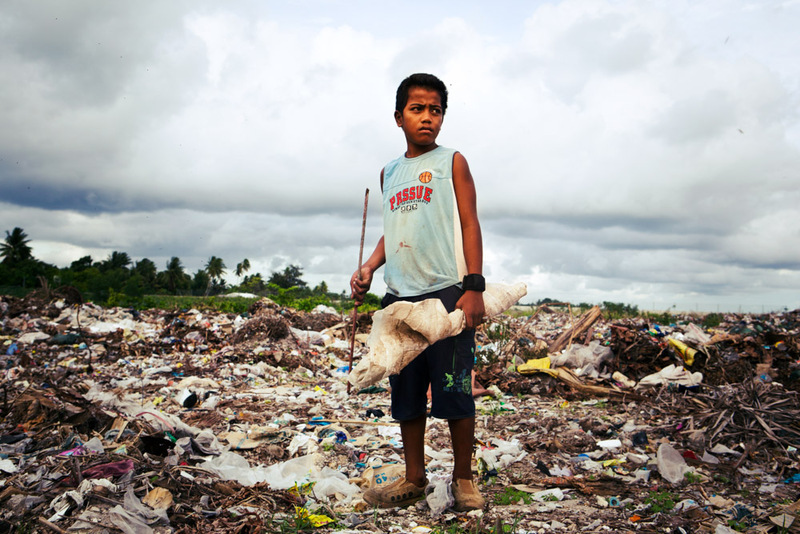 Boy picks through waste dump beside the Port for useful items. This dump was created in 2002 as a response to the governemnt recognised "Waste Crisis" in the 1990's. South tarawa, Kiribati.